Uber is launching a new pilot program to encourage the uptake of electric vehicles across its US fleet, according to a recent blog post by the company. The EV Champions Initiative will provide “direct monetary incentives” to drivers willing to using EVs (electric vehicles) to carry passengers instead of petrol or diesel vehicles. 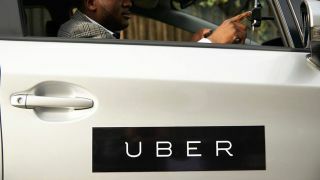 Uber drivers are required to own – or at least lease – the vehicles they use for rides, so they'll have to choose to make the switch to electric themselves rather than simply receive a new company car. The program builds on smaller pilots in Pittsburgh and Portland, now expanding to all EV drivers operating in seven selected US cities: Austin, Los Angeles, Montreal, Sacramento, San Diego, San Francisco, and Seattle. Uber has been vocal about its push to embrace green technologies, with 60% of its vehicles in London already hybrid or fully electric, and the hope that this will extend to the whole fleet by 2020. Even if US drivers find the greener technology appealing, it takes significantly longer to charge a car battery than it does to fill up a fuel tank, potentially reducing the length of time each day that they’re able to earn fares.